Tuesday’s presidential election was extremely disappointing and I was stunned as I was not expecting defeat. How could we lose? Obama spent more time on the golf course and traveling than working in the Oval Office. How could we lose? He watched our heroes die in Benghazi and did nothing to help them. How could we lose? Our economy is tanking and there are no jobs for the millions of Americans out of work. How could we lose? 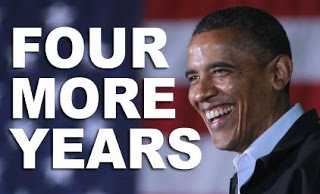 He spent over 6 trillion in just four years. How could we lose? He pushed an unwanted ObamaCare on millions of Americans. How could we lose? He declared war with the Catholic Church with his Health and Human Services Mandate. How could we lose? Americans have traditionally followed Judeo Christian values and Obama’s actions have been anything but Christian. How could we lose? 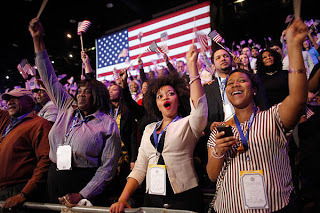 The Democrats booed at the thought of having God in their Democrat National platform. How could we lose? Obama was all but declared the prophet of the Democrats at the DNC. Yes, how could we lose? But we did! This presidential election was not about Mitt Romney and Barack Hussein Obama, it was about the American people. It was about our value system, about our moral compass. It was about women not understanding the miracle of life and the responsibility they have to the unborn. It was about giving to Caesar what is Caesar’s and giving to God what is God’s. It was about what the American people are willing to fight for. Apparently there are more Americans (60,662,601) who want what is not theirs than Americans (57,821,399) who believe that we must work for what we have. In truth, our young adults are impressed with Socialism and they will be the ones burdened by their own hand. The saddest fact is that many Americans voted for Obama because of the color of his skin rather than his ability to lead our nation. Blaming Romney is a waste of time and energy as I believe he tried his very best to win. He is who he is and he was our candidate to support. The irresponsible media did its share to protect and elect Obama. It is us, the conservatives, who have to adapt to our ‘transformed’ America. We cannot continue to yield and expect to win. We must be willing to argue, fight, to die for what we believe. The democrat/socialists do. We must rid ourselves of those ‘established’ politicians who continue to drum roll for leaders that do not espouse our conservative values. The browning of America is a fact we must face. We should learn to respect our fellow Hispanic Americans as they share our conservative values. We do have a choice, we can let the democrats continue to lie and woo them or we can welcome them into the Republican Party with the truth. We need them to strengthen and grow our party. Lastly, just as we encourage voters to take someone to the polls, we must ask members of our own family and friends to attend church with us. In spite of the consequences, Catholics voted for Obama 50% to Romney’s 48%. If we want to be called a Christian nation then we must do our part in making it a Christian nation. The Catholic Church was jolted with the HHS mandate and worked hard to inform its members in a ‘hail mary’ effort to have the mandate repealed, but where has the Church been in the last 40 years? Will these efforts turn the tide? I don’t know, the task ahead seems insurmountable, but I do know we cannot give up, with God at the helm, America can rise again. It is Thursday, November 8th, and the initial ‘hangover’ from the election is waning. The results are in and we (Conservatives) are left with the question: “How could this Happen?” The polls were encouraging; the pundits on our side were encouraging. We had a candidate who was intelligent, articulate and an experienced executive. He was a Mormon and a moral family man with compassion that was obvious for America. The other side, on the other hand, had a candidate whose policies for four years have not worked, who has neglected his sworn duty to preserve, protect and defend our Constitution and who seems to have disdain for America. Their party platform is a complete opposite of the Republican Party platform. How could they win? We are left to wonder, are we out of touch with reality? Are we wrong to believe in the need for smaller government, sound fiscal policy and the rule of law? Are we wrong to believe in individual responsibility, hard work and less government entitlements? Are we wrong in believing that our right of self-government is a God given right? Of course, we are not wrong. We just got out-maneuvered by a force of people who want the government to give them all their wants and needs, to allow them to do anything that ‘feels good’, and to enforce only those laws that fit their philosophy. Watching the Obama crowd just before he gave his acceptance speech, I had the eerie feeling that this was not just a crowd celebrating a win, but a cult adoring their deity. I couldn’t watch any more. I am very concerned, but I have not given up. We cannot give in to the secularism, the demagoguery and the poison spewed by the Left. We must continue to fight for the Right and the right to do so. 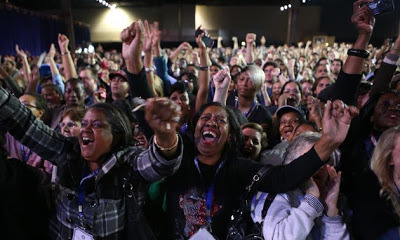 By disenfranchising Ron Paul supporters, Mitt Romney won the primary but lost the election. New analysis reveals that in no less than five states, Romney’s margin of loss to President Obama in the general election was less than the number of votes received by Ron Paul in that state’s primary. In Florida, for example, Obama defeated Romney by 46,000 votes; meanwhile, Ron Paul received over 117,000 votes in the primary. If only 40% of these Ron Paul Republicans stayed home on Election Day, it would have been enough to cost Romney the state and its 29 electoral votes. A similar case can be made for Connecticut, New Hampshire, Ohio, and Virginia. Along with Florida, these five states account for a whopping 71 Electoral College votes. 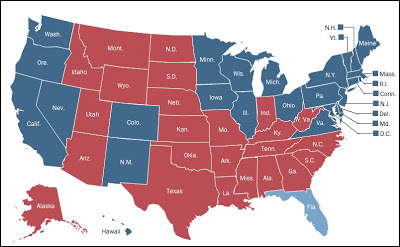 Remember that Obama earned 332 electoral votes compared to Romney’s 206. Had Romney won these five states, they would have been sufficient to give him a narrow 277-261 victory over the President. Admittedly, the number of Paul votes and Romney’s loss margin are closer in the other four states than they are in Florida. In New Hampshire, 71% of Paul votes are needed to make up the margin, while in Ohio and Virginia, that number is closer to 95%. The picture becomes clearer, however, when we remember that the number of Paul primary votes is almost certainly an underestimate of the number of Paul supporters in a given state. Given the reluctance of many socially liberal, fiscally conservative Ron Paul supporters to participate in a Republican primary, analysts have estimated a multiplier of at least threefold in closed primary states. What does this mean? Given two conservative assumptions – that the number of Paul supporters in these five states is at least double the number of Paul primary votes, and that 40% of these Paul voters stayed home on Election Day – we have a strong case for stating that Mitt Romney would have won the election had he earned the votes of these Ron Paul supporters. When Ron Paul went to the Republican National Convention in August, he brought with him the youngest delegation in the history of the Republican Party. How were they welcomed? When they arrived, their signs were confiscated and torn up before their eyes. The Maine delegation was summarily unseated and sent home because they contained too many Paul supporters. At the last minute, the Rules Committee changed the ballot access requirement from five states to eight states to prevent Ron Paul’s name from being entered into nomination. They even prevented his name from being mentioned from the podium! The establishment’s abominable treatment of Ron Paul supporters at the RNC was only the culmination of a corrupt and shameful primary season. In Louisiana, Ron Paul delegates were arrested when it became clear that they were in the majority at the state convention. In Arizona, desperate party bosses turned off the lights at the state convention to prevent Ron Paul supporters from being elected to a party position. In both Maine and Nevada, Romney campaign officials were caught distributing fake delegate slates. In Missouri, police were called to shut down the St. Charles caucus when a Ron Paul victory appeared imminent. “It’s a shame the party hasn’t been more welcoming of these young people,” confessed a Romney delegate to me at the RNC. In Mitt Romney’s crushing defeat at the hands of President Obama, it appears the Republican Party’s chickens may finally have come home to roost. Instead of welcoming the passion and dedication of the Ron Paul movement, the party chose to alienate an entire generation of young Republicans, scorning the sensible message of limited government and non-interventionist foreign policy. As Republicans nationwide prepare themselves for four more years of President Obama, they would do well to ask themselves what they might have done differently. One can only wonder whether the party will learn the lessons of 2012 in time for the election of 2016. The GOP also lost because they listened to Obama's media, who we knew was Obama's media, when they told us Mitt was the most electable. The only candidate, right before the convention, who matched favorably against Obama was Ron Paul. Funny, he was also the only one who voted consistently for the Republican platform, offered actual, constitutional spending cuts instead of just reducing the increase (Paul Ryan), and polled well with swing voters. Moving forward, we need to oust Boehner, of the rigged teleprompter in Tampa with its preloaded result when the RNC was rigging the future rules to keep out the Tea Party. You can see it on YouTube, recorded by several different people, and the 'nays' were at least as strong as the 'yeas'. Just do a search for GOP power grab, tampa. The Democrats at least had the decency to announce their question three times before overriding the votes.